Comments: This story is about a proud indigenous super-hero. He is Pauite! His people have been abused over the years as have many indigenous people. Captain Paiute’s origin is told here. He has the powers of a water spirit. His time to become ready is skipped over fast. This Captain Paiute though is inspiring. Captain Paiute does become the indigenous defender of the Southwest! 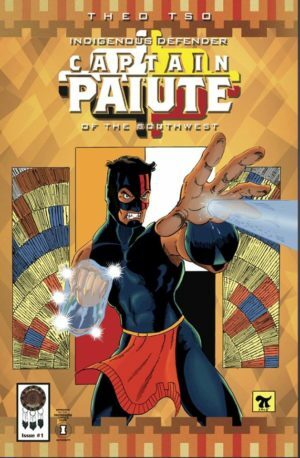 The art is simple but still brings across how much of a hero Captain Paiute is.